What better place to have a bloody mary than at an early morning college football tailgate? This past week I was the host for 15 people in the early morning of our tailgate. Perfect time to test out Lyle Style bloody mary mix. I remember one guest raving about the mix. I had another brand available, but she refused to try that one and insisted on Lyle Style. I prefer the hot and spicy version myself, though it isn’t really that hot. 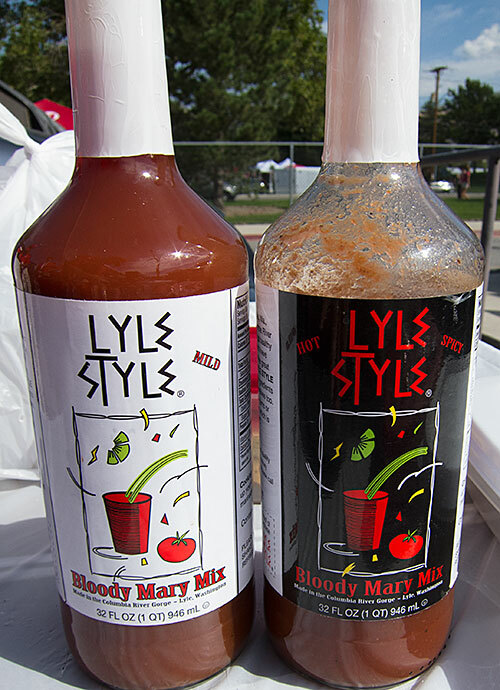 Check out Lyle Style next time you’re shopping for bloody mary mix.